At Walker Movements we have over 25 years of valuable experience exporting used trucks for sale to Botswana and many other international ports. Our fantastic customer service team know how to make the process smooth and unproblematic for you. We will handle the insurance of our used trucks for sale to Botswana, as well as the delivery to the port* and all associated paperwork. If you would like a shipping quotation, we would be happy to provide this and we will also organise all of the relevant documentation, including total loss insurance, for collection of your order at the port. 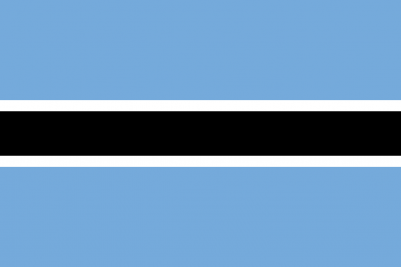 *Please be aware that since Botswana is a landlocked country, we cannot ship directly to Botswana. Your nearest port will be Walvis Bay, Namibia, however should you want your new truck shipped elsewhere, please contact us and we will do our best to accommodate. Please note you will need to arrange customs clearance and vehicle collection once the vehicle arrives at your chosen destination. At the Walker Movements headquarters in the UK, we have a huge selection of used trucks for sale to Botswana. Over the last 25 years, our family business has sold and exported more than 22,000 used trucks to numerous ports worldwide. It is due to our fantastic and unparalleled facilities that we are able to ship our trucks to any international port in the world. Our experienced customer service team have dealt with over 15,000 happy customers and specialise in the export of used trucks for sale to Botswana. Here 6 days a week, they are ready to take your call and to answer any questions you may have about our stock, the shipping process, associated paperwork or quotes. Before the shipping process begins, each and every used truck for sale to Botswana is checked by our specialist technicians who confirm the trucks to be road worthy. As we have been exporting used trucks to Botswana for over two decades, we have traded a wide variety of brands and models, including huge names like Volvo, DAF, Iveco, Mercedes and MAN. Our range of stock includes tractor units, as well as curtainsiders, tippers, flatbeds, fridge/freezers, and trailers; so whatever vehicle you require for the job, it’s likely that we will have the ideal used truck for sale to Botswana. We would be more than happy to take your order for used trucks in Botswana, either over the phone, via email or in person at our 21-acre custom built head office. Alternatively, if you see a truck you are interested in on our website, please do not hesitate to contact us using our online form below. Please clearly state the truck you are interested in and the port in England you would like the vehicle to be delivered to. For any enquiries into the additional services we provide to Botswana, or to book an appointment to view our stock, please contact one of our friendly sales team. I bought both a MAN and a Mercedes-Benz truck from Walker Movements and was pleasantly surprised with the condition of the vehicles. They were presented clean and true to the description. I was extremely impressed with the customer service, right from the time I started to enquire about the vehicles. Their turnaround time to enquiries is very efficient. They truly ensure safety and the genuineness of their online business gave me the confidence to procure the vehicles without any fear of being scammed. Walker Movements really is an honest trader and I thank Dave for his exemplary customer relation skills.